This month, for our Reading Wildly book discussion, we talked about multicultural books. We had a lot to talk about since the #WeNeedDiverseBooks campaign had started up the week before. Using diverse books in our programming and including them in booktalks, readers' advisory, and displays has long been a goal for this department. To kick off our discussion, we talked about the recent New York Times opinion piece The Apartheid of Children's Literature by Christopher Myers. We talked about kids' need to have a road map, not only for kids of color trying to find their path, but for white children, as well. We're a global society and reading is one way that kids experience their world. Our community is increasingly diverse, but there are still many areas and schools that are predominantly white. Reading about many different kinds of people is a way for kids to learn that our world is a diverse place and they will be expected to interact with it. It's a way for them to create a road map to navigate our diverse world. We want our patrons to see themselves represented at the library. And we don't want our children to be, as Myers puts it, "threatened by difference". It's up to us to be familiar with and to promote books about children of color, just as we promote all excellent books. SO, if you're looking to diversify your shelves, these are some great books to pick up! 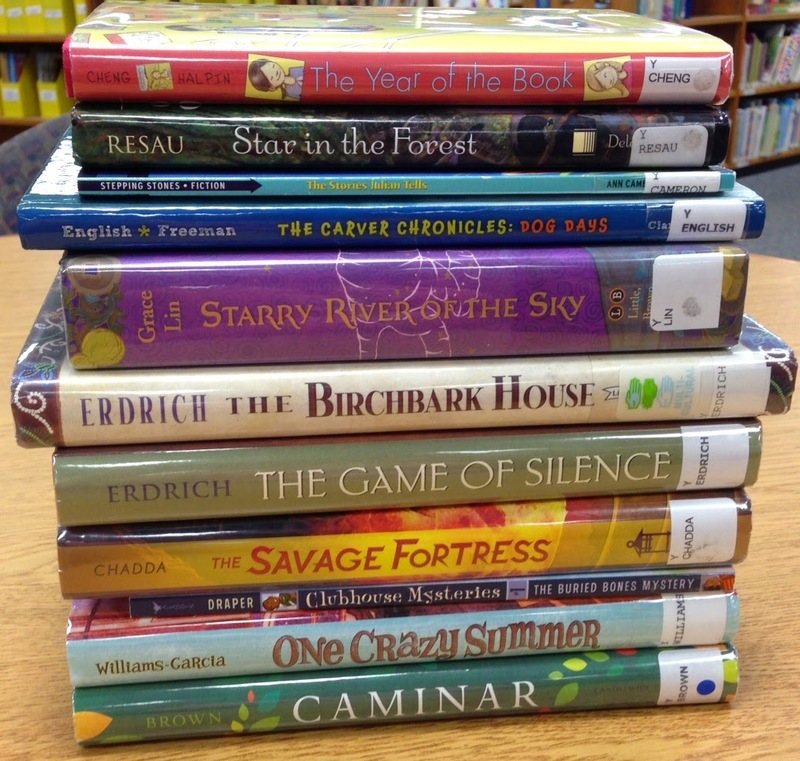 The next couple of months will be Reader's Choice months since we'll be super busy with the Summer Reading Club and all the kids out of school. I'm excited to start up our staff summer reading log again. We've done staff Summer Reading Logs in the past and we've done both individual logs and last year we did a group log. This year, we're going to make it more visual by posting book covers instead of writing down the titles. I'm hoping that'll be a little more eye-catching and inspiring!